For all you Android mobile gamers out there who have been patiently waiting for quite some time to be able to grab 9mm HD for Android you’ll be pleased to know that Gameloft has now made 9mm HD available for download from the Android Market. 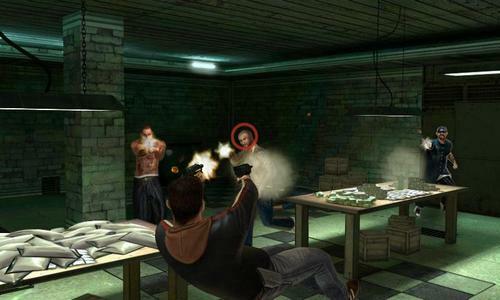 With 9mm for Android the user plays the part of John “loose” Kannon the top man of a special cop team that aren’t afraid to bend the law when it comes to cleaning up the streets. The object of 9mm is to take out a gang leader before Kannon’s team gets taken down first. 9mm HD for Android devices offers a stylish 3rd person shooter using slow motion stunts, and destructible 3D environments and have access to an abundance of weapons such as a pistol, shotgun, submachine gun, grenade thrower and more. 9mm HD for Android also offers the ability to join your friends or battle opponents in Free for All and Team Deathmatch shootouts on four differing maps and up to twelve players. There’s even a hip-hop/rap soundtrack from established artists like Apathy, Beanie Sigel, Freeway & Jake One with a special in-game appearance by Freeway & Jake One. According to the guys over at Droid-life though, apparently 9mm HD I supposed to work on numerous Android devices; however, the guys say the game doesn’t work on the likes of the Samsung Galaxy Tab 10.1, HTC Droid Incredible and Motorola Droid Bionic and there could be more the game doesn’t play on. For the Android faithful that wish to download 9mm HD to their chosen Android device you can grab it from the Android Market at a cost of $6.99, and if you do so please feel free to let us know if it works on your device or not. We have a video trailer of 9mm that Gameloft put out a while back for your viewing consideration below, so feel free to check that out to see if this game is for you before shooting off to grab it…enjoy.